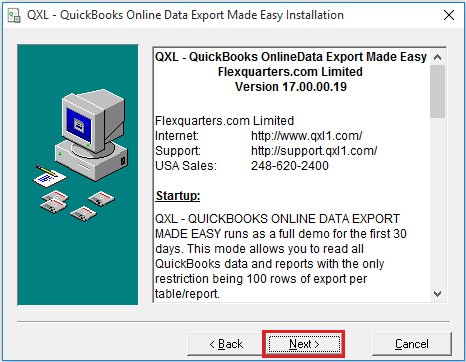 If you haven't already downloaded QXL Online, do it now by going to the download page. 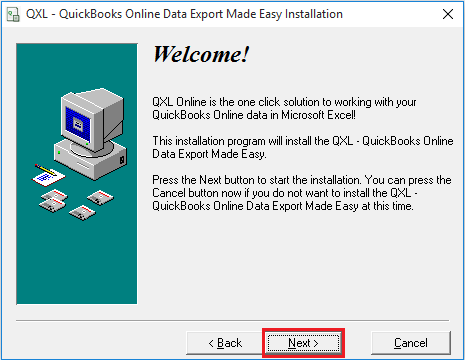 Don't forget to read the "Readme" file during installation for the latest information on QXL Online setup new features and other driver information. 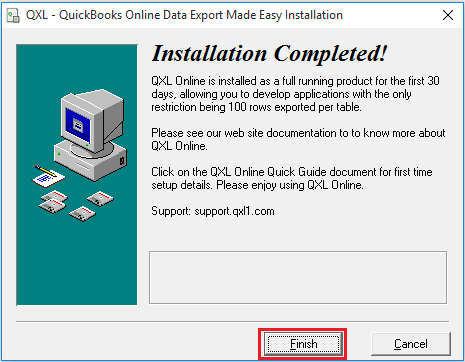 Save the self-extracting executable "QXLOnlineSetup.exe" in a temporary directory or your "My Documents" folder to extract the installation files. 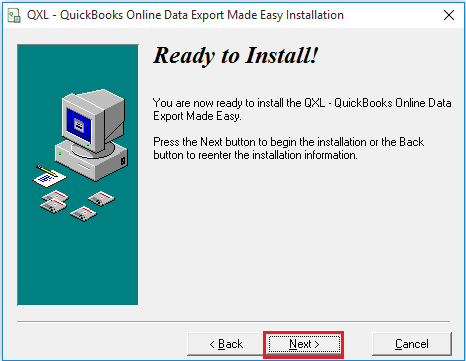 Click on the Install program from within Windows to install the driver. 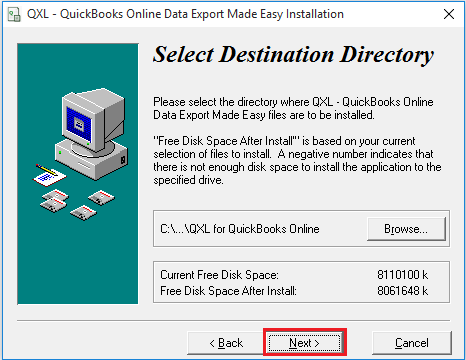 Select the destination directory to install the QXL Online support files. Click "OK" to continue. 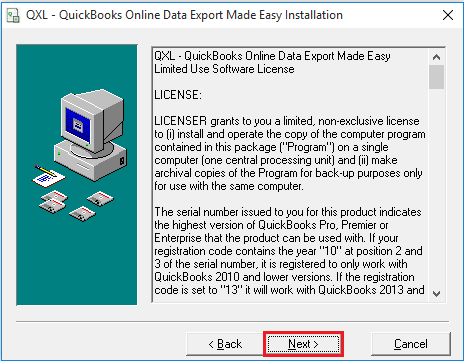 The QXL - QuickBooks Online Data Export Made Easy® has been successfully installed on your computer. You can begin to use it because it will immediately run as a 30-day evaluation version.